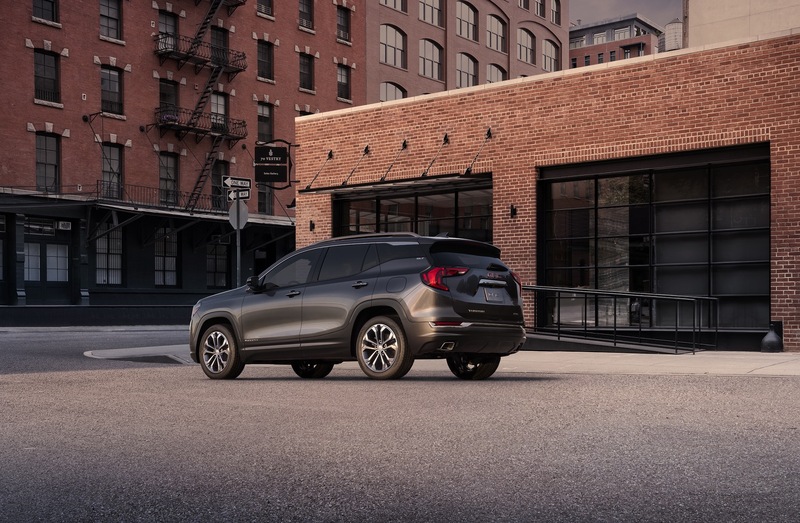 GMC completely overhauls (redesigns and re-engineers) the Terrain CUV for the 2018 model year, delivering an all-new compact crossover. 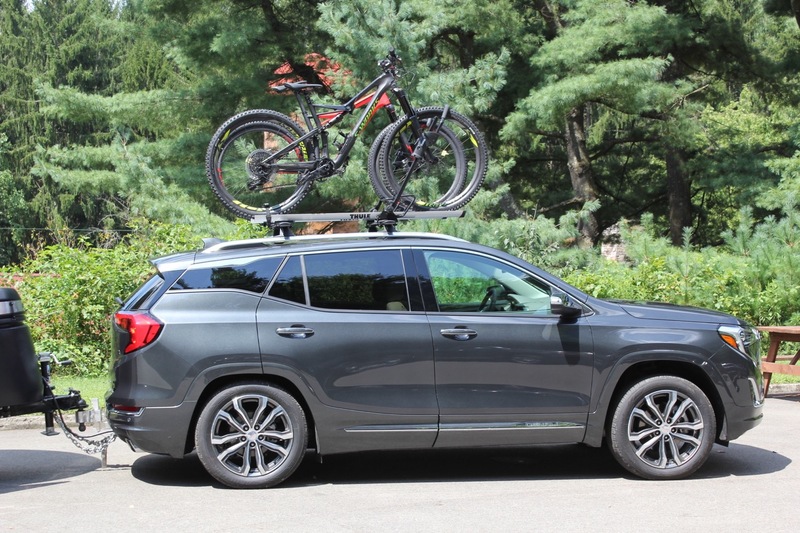 As an all-new vehicle, the 2018 Terrain represents the second generation of the popular Terrain crossover, of which over 700,000 have been sold in North America since it went on sale in 2009. 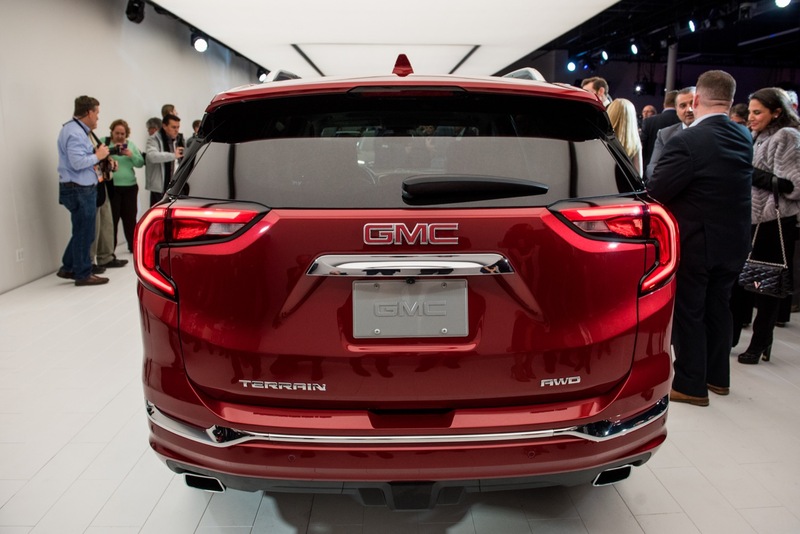 With the all-new Terrain, GMC is looking to capitalize on a popular crossover market. 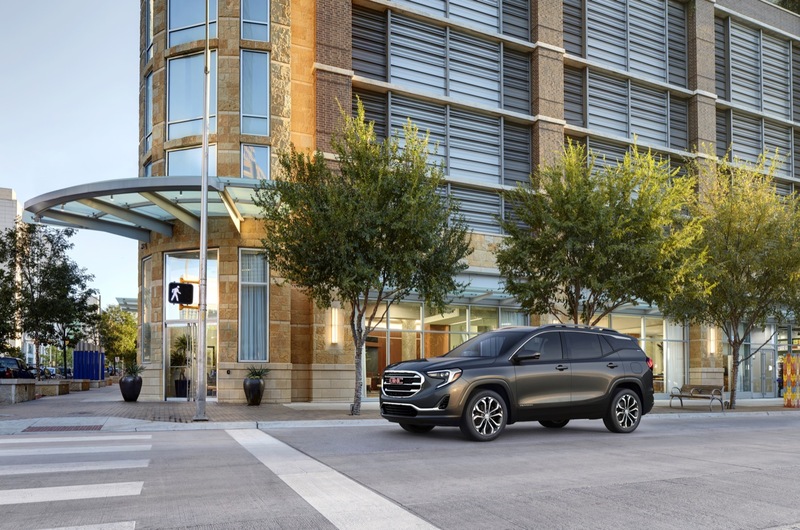 The new Terrain also represents “the next chapter of GMC design” and brings higher amounts of refinement and versatility to adapt to customers’ unique needs, while packing more available advanced safety technologies than ever before. 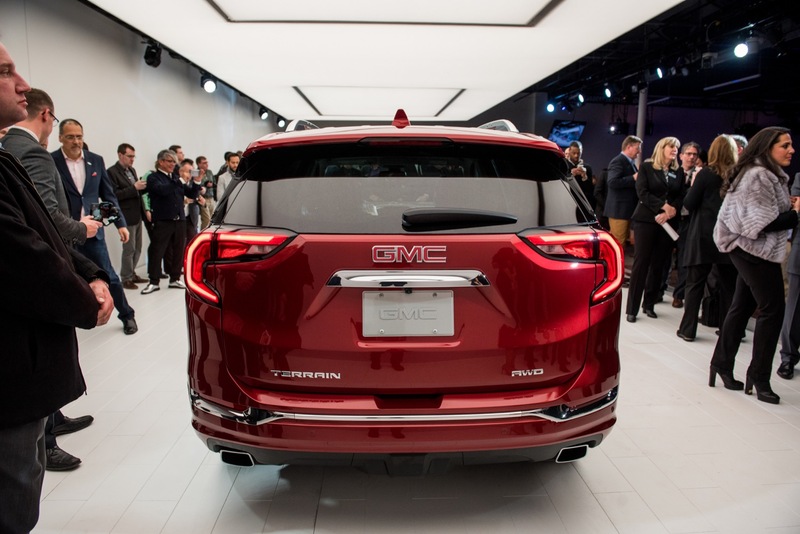 The new Terrain features a bold exterior that introduces the next chapter of the GMC design language that evolves the brand’s signature cues with stronger, sharper and more sculpted elements such as the grille and lighting features. 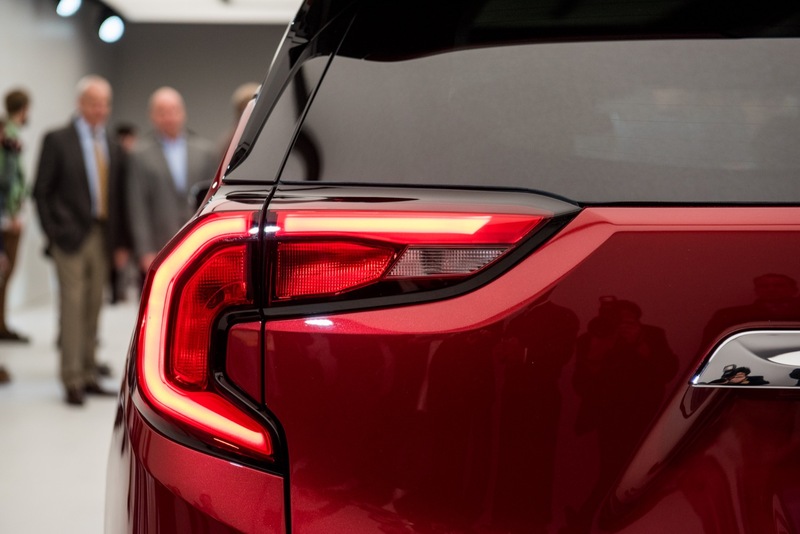 The shape of the new crossover was refined in the wind tunnel to help ensure the distinctive profile cuts through the air with optimal efficiency and quietness. 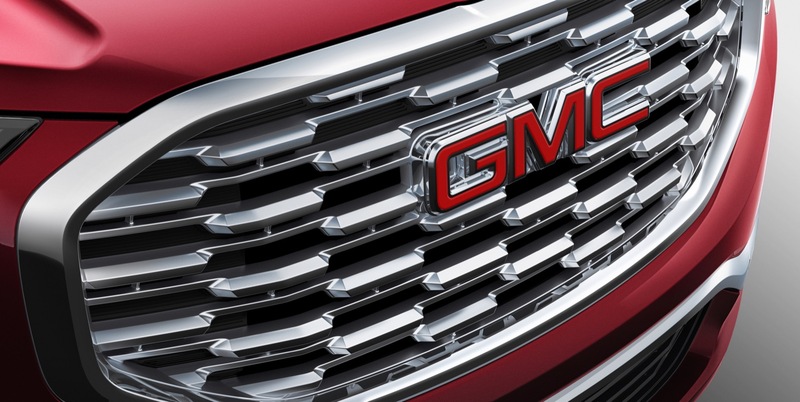 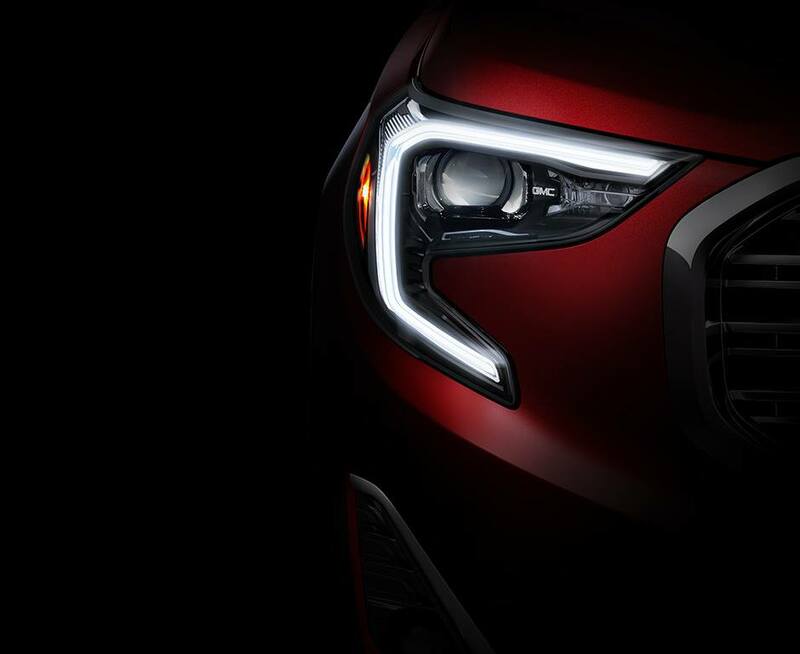 The vehicle’s most prominent design features include a “floating” roof as well as a new “C” shape in the headlights and taillights that has become a hallmark of GMC design. 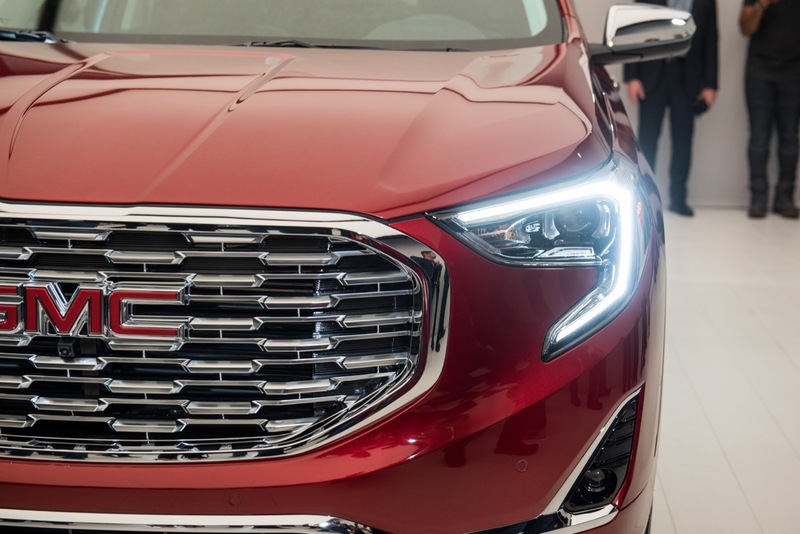 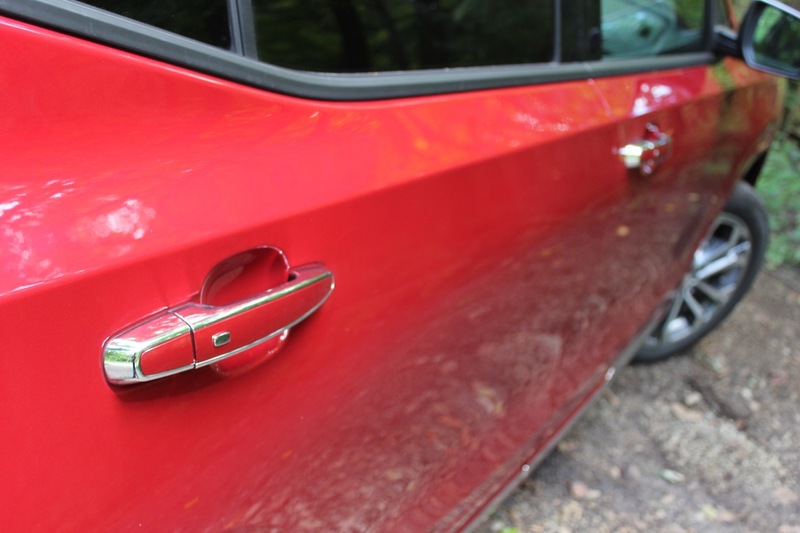 The range-topping GMC Terrain Denali takes styling detail to a new level by adding the Denali signature chrome grille along with Denali-specific accents including body-color fascias and lower trim, plus chrome roof rails, door handles, side mirror caps and body-side molding. 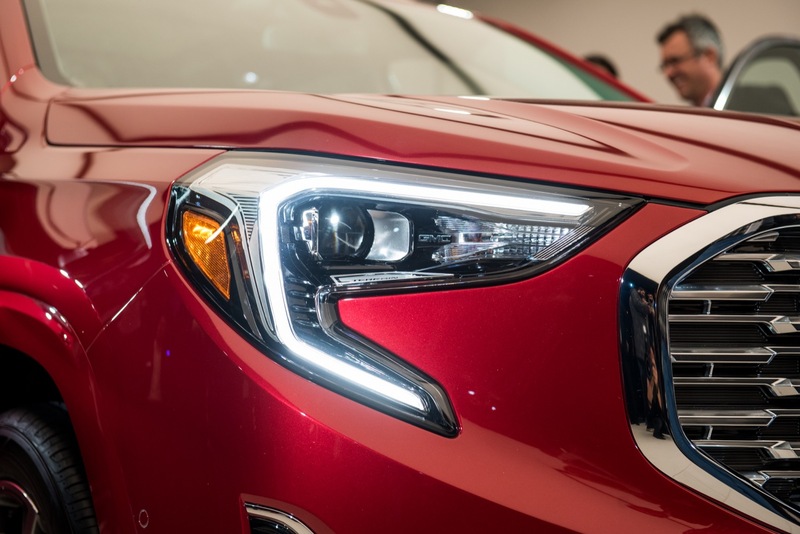 Additionally, LED headlamps and 19-inch ultra-bright machined aluminum wheels are standard on the 2018 Terrain Denali. 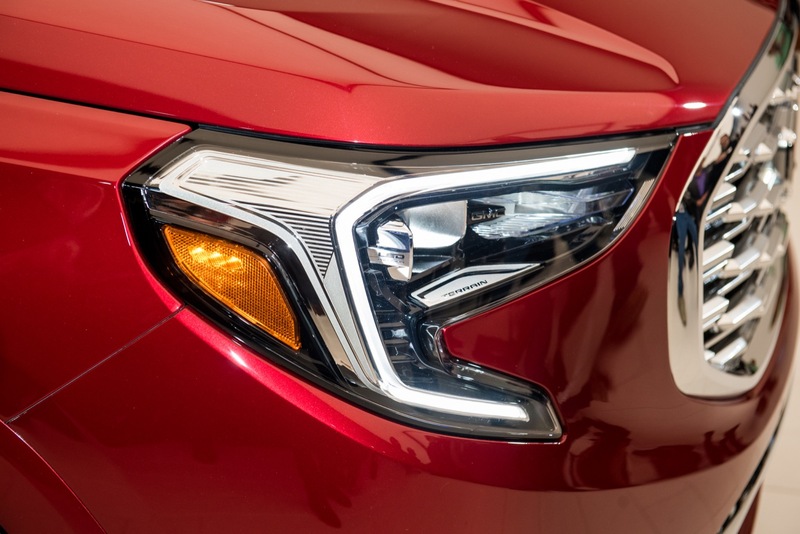 All other models feature signature LED daytime running lamps and tail lamps, while the SL, SLE, and SLT are equipped with bi-functional HID headlamps. 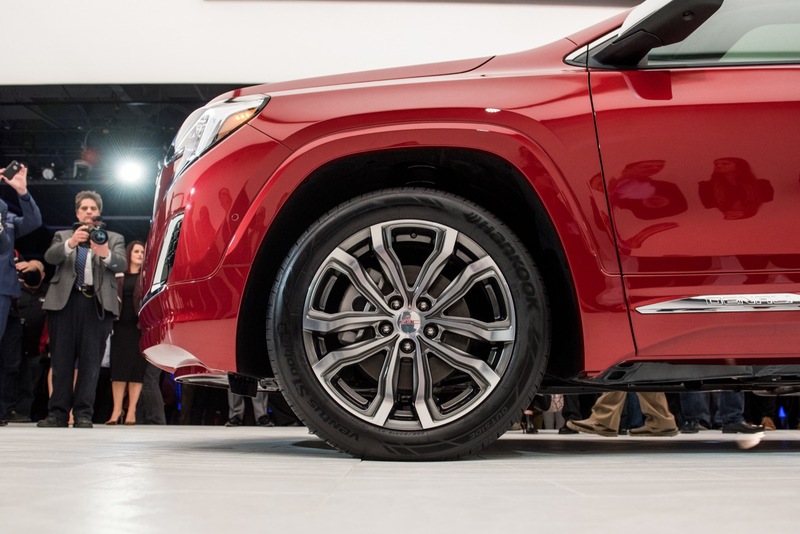 Additionally, 17-inch wheels are standard on SL and SLE, and 18-inch wheels are available on SL and SLE, and standard on SLT. 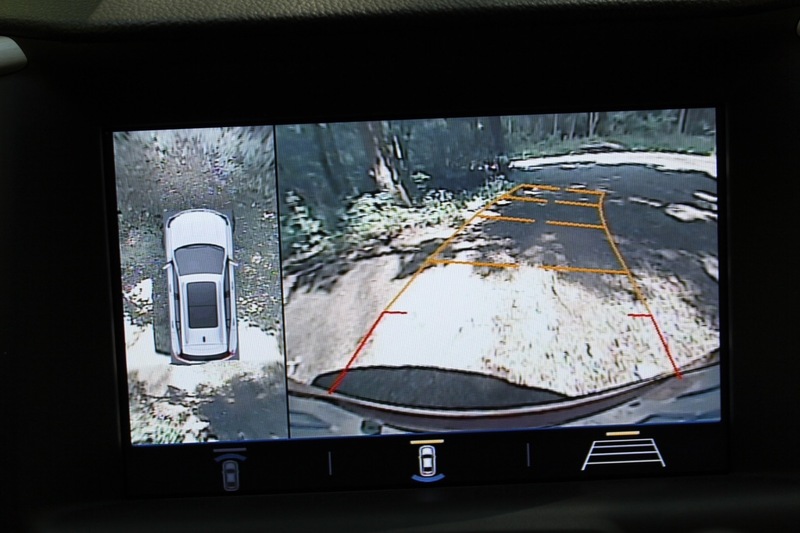 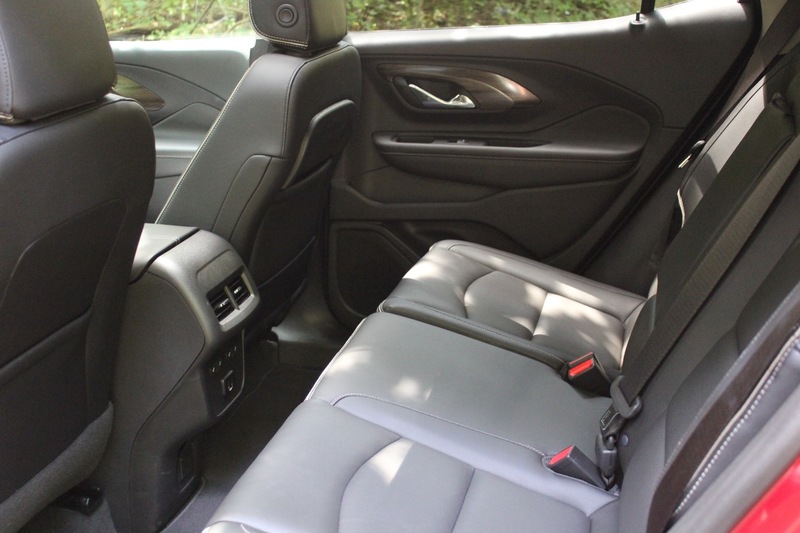 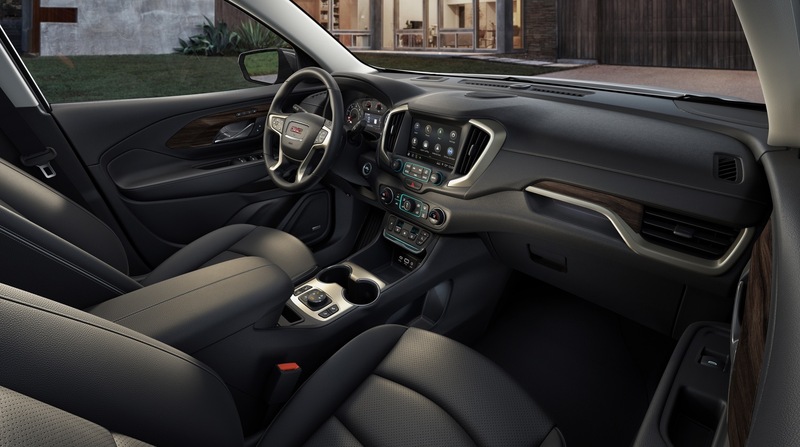 Like the exterior, the interior of the new Terrain serves as a fundamental component of the vehicle’s increased emphasis on refinement and functionality. 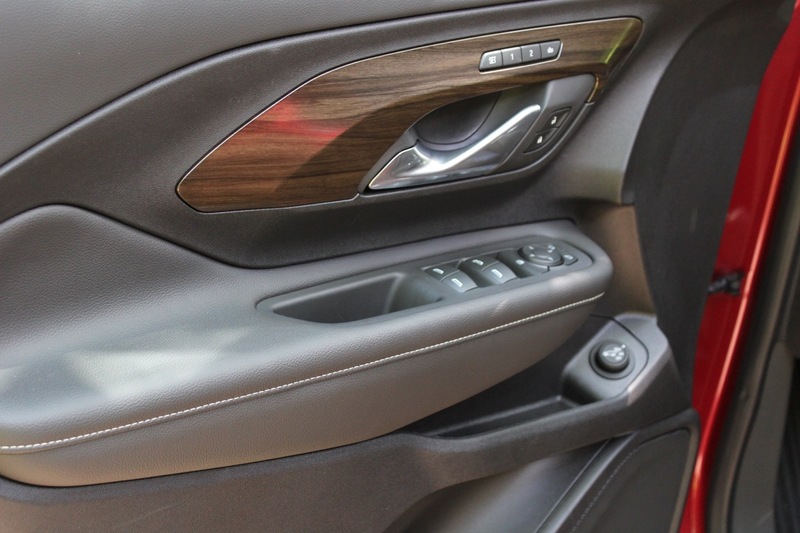 Elements such as authentic aluminum trim, soft-touch materials on the instrument panel and doors, as well as standard active noise cancellation are premium features that are seamlessly integrated into the design of the cabin, delivering a premium customer experience. 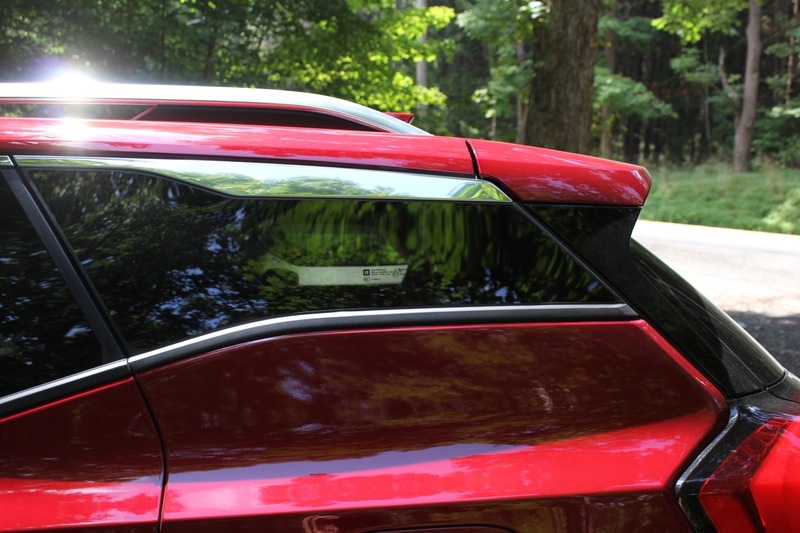 The Terrain Denali elevates the premium interior one step further with a unique trim tint color and Denali-specific logos and piping on the front seats. 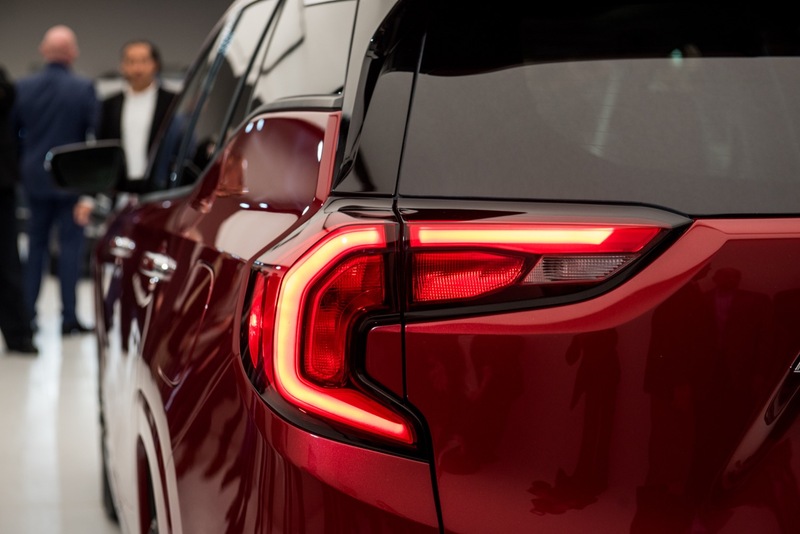 The Terrain Denali also includes additional standard features such as a heated steering wheel, navigation system, Bose premium 7-speaker sound system and a hands-free programmable power liftgate. 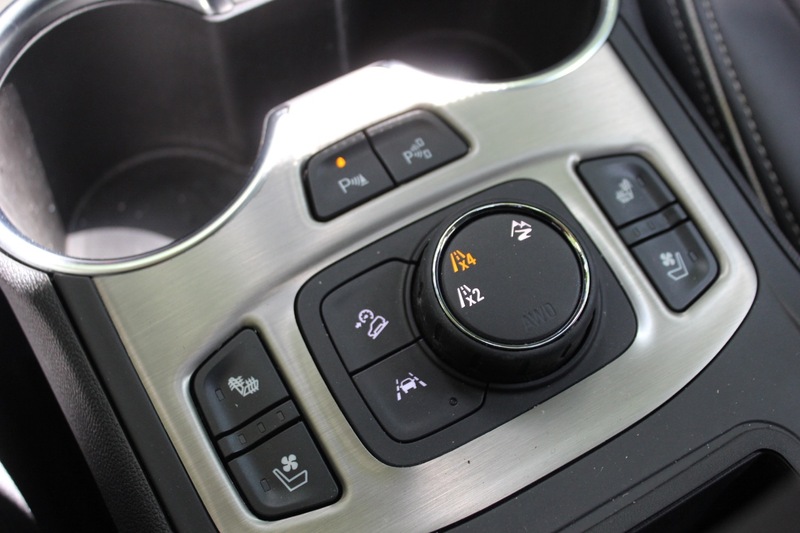 GM is continuing to roll out its digital shifting technology with a new push-button gear selector on the new Terrain. 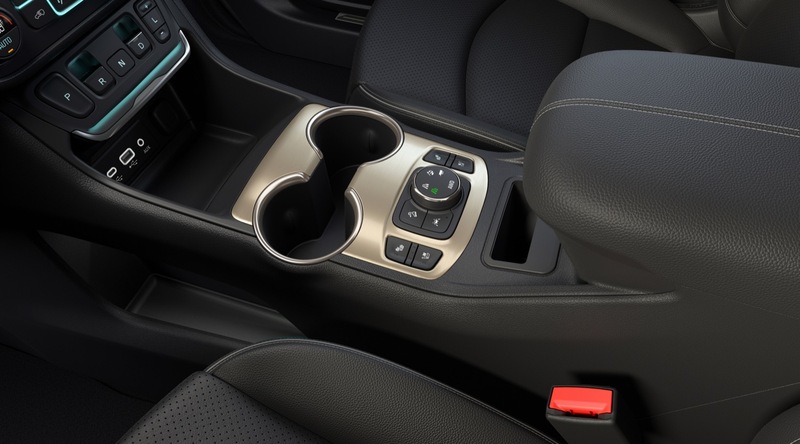 The redesigned gear selector enables an expanded center console with pass-through storage underneath and side-by-side cupholders, characteristics that contribute to the crossover’s functionality. 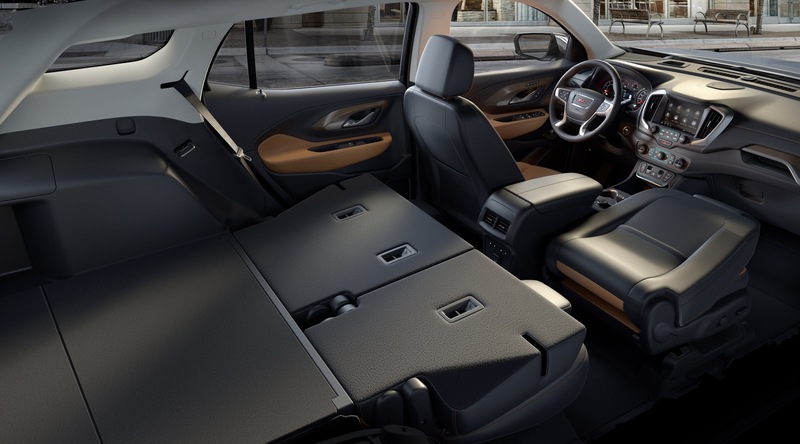 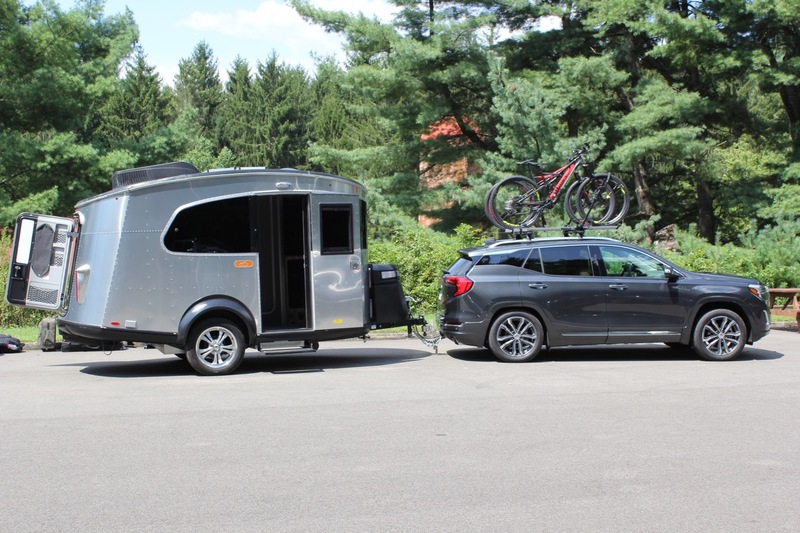 A new fold-flat front passenger seat and flat-folding rear seat help Terrain offer greater versatility for stowing longer items, while also making it easier to load cargo. 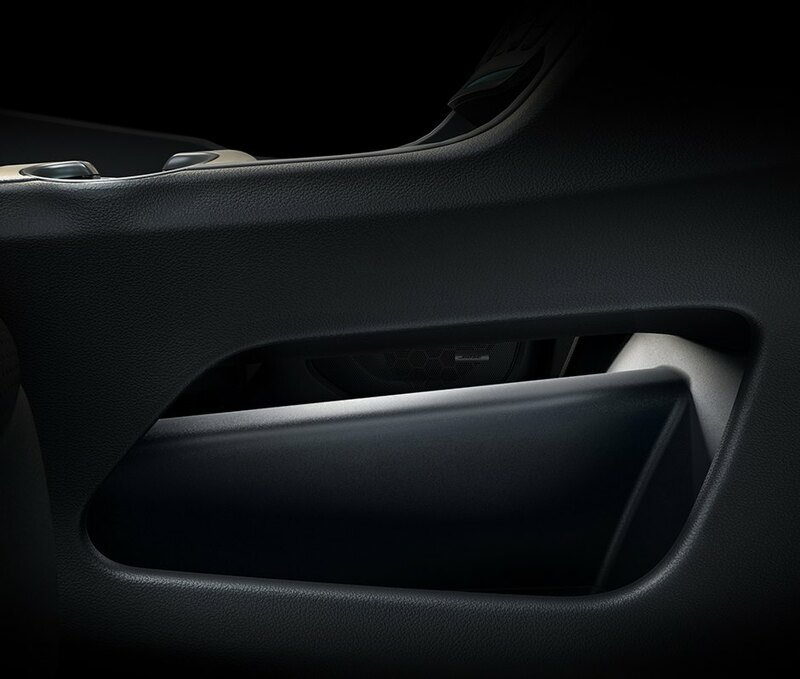 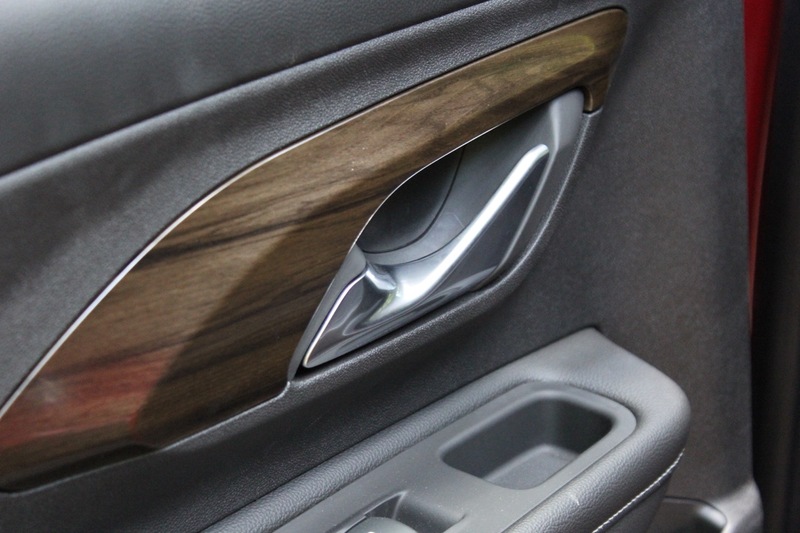 There are also new under-floor compartments in the cargo area for more secure storage. 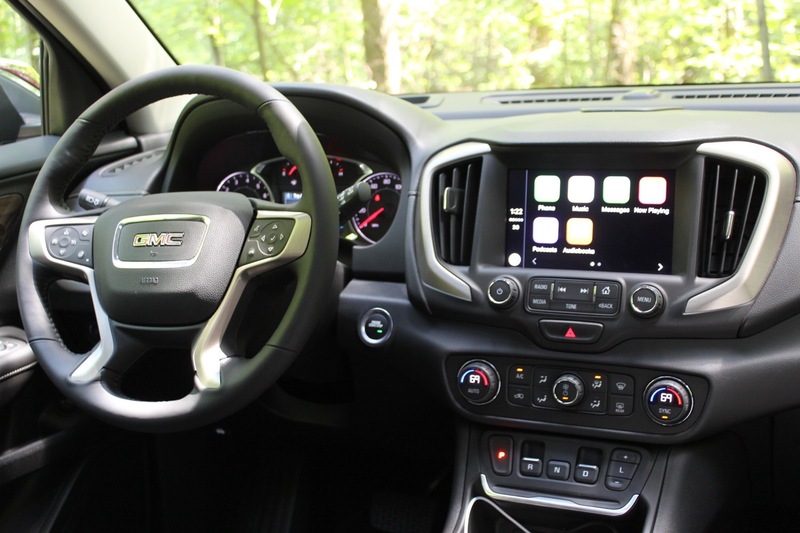 The 2018 GMC Terrain features the latest iteration of the 7- and available 8-inch-diagonal IntelliLink infotainment systems. 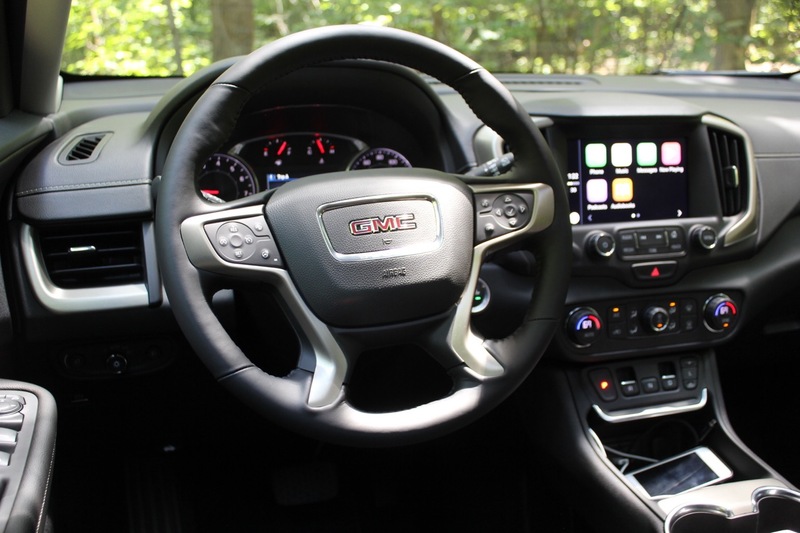 The systems are compatible with Apple CarPlay and Android Auto smartphone integration technologies. 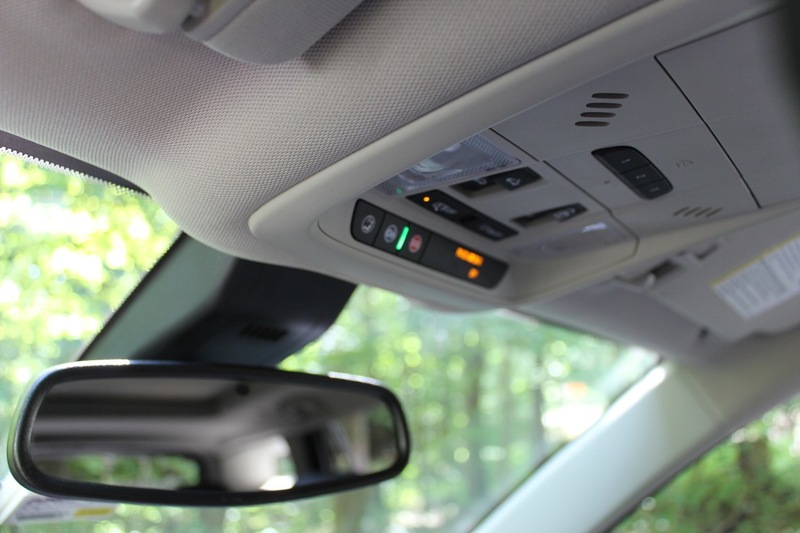 OnStar 4G LTE with Wi-Fi hotspot is standard, and can accommodate up to seven mobile devices such as smartphones, tablets, laptops, and more. 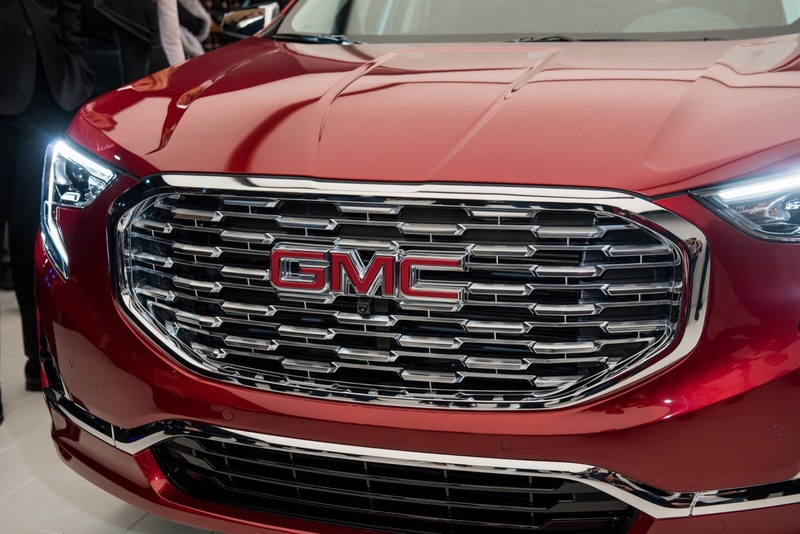 Owners also have the ability to manage their vehicles remotely with the myGMC mobile app on their compatible smartphones. 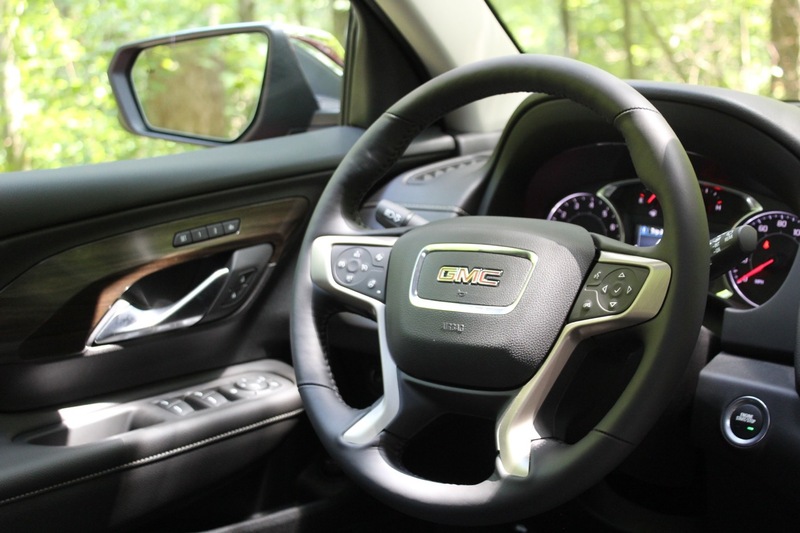 The Terrain comes standard with GMC’s driver-controllable Traction Select system, which has choices for different driving conditions. 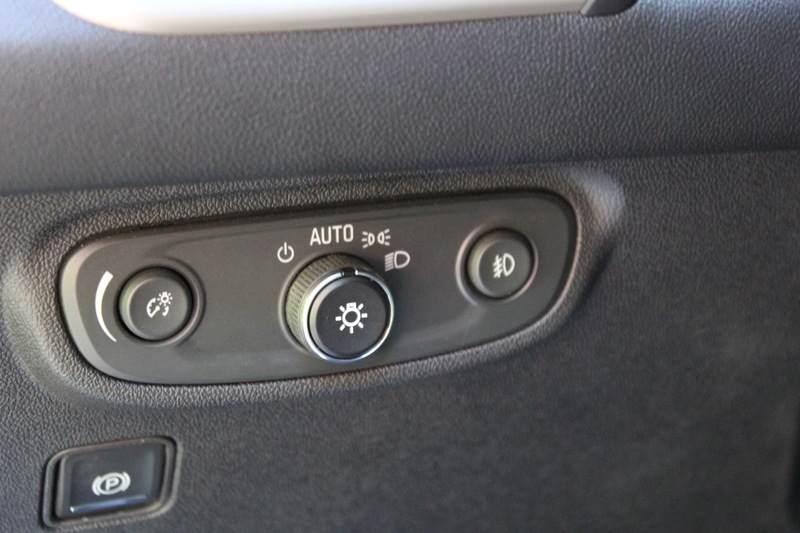 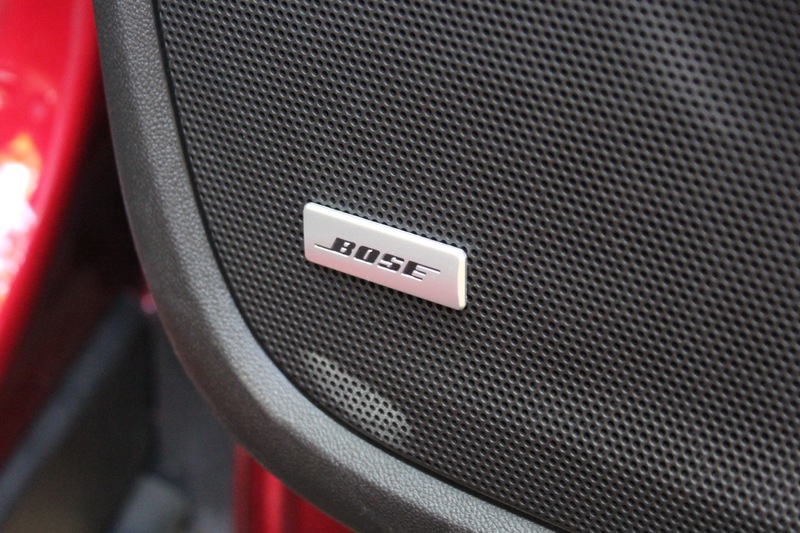 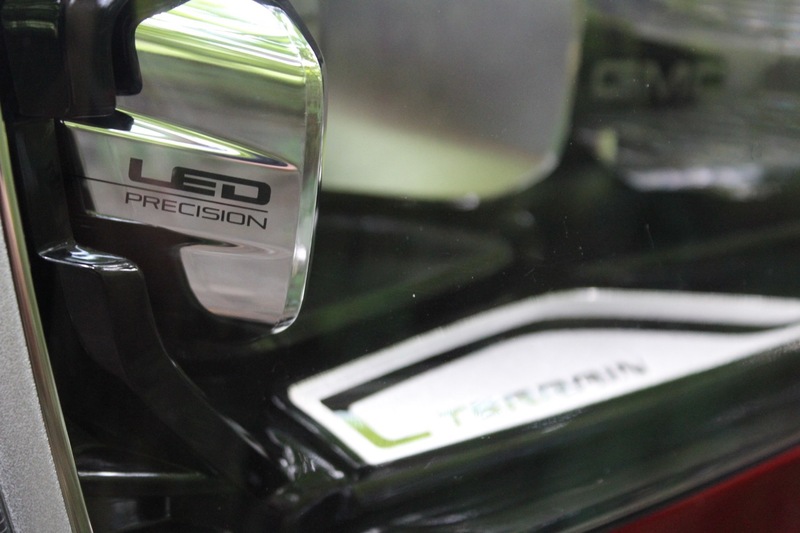 Elements such as the throttle responses are optimized for the selected driving mode. 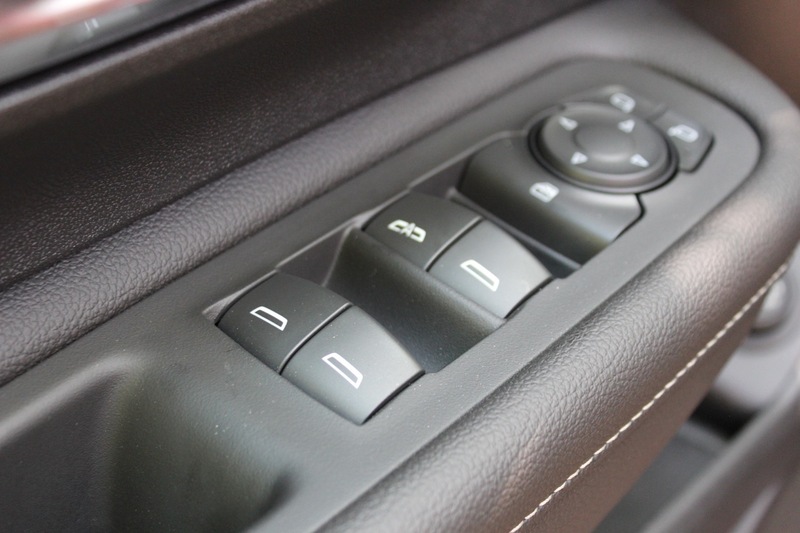 AWD models include a FWD mode that disconnects the AWD system to minimize drag and optimize fuel economy, while the AWD mode offers all the benefits of an active AWD system. 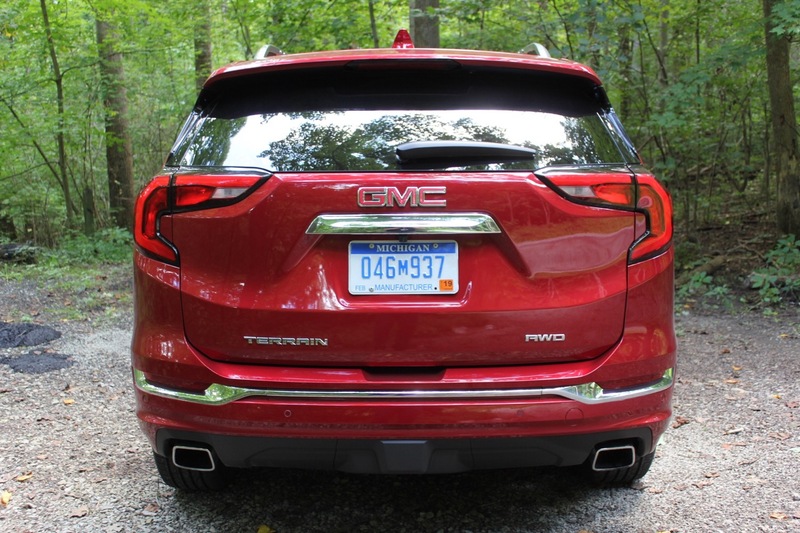 We expect the 2018 Terrain to approach 40 MPG fuel economy on the highway with the base 1.4L I-turbo I-4 engine. 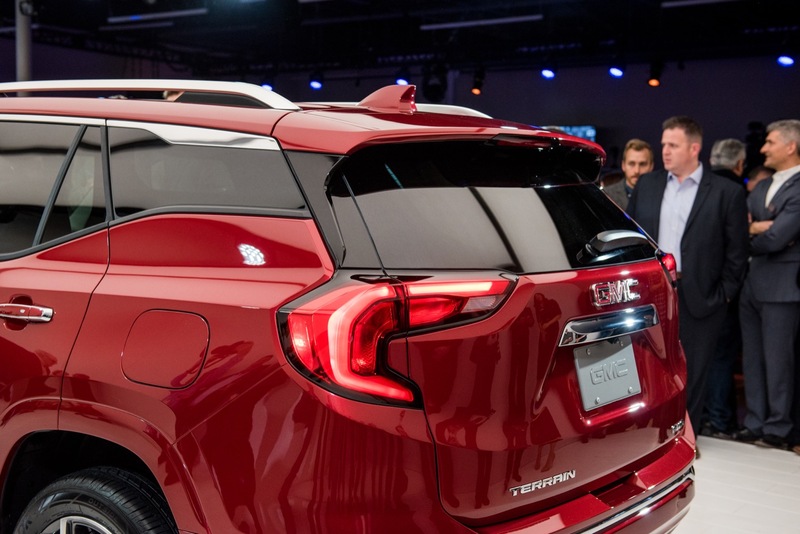 An all-new, more rigid and lighter architecture, known as the D2XX platform, will serve as the foundation of the 2018 Terrain’s driving dynamism, while also playing significant roles in safety and efficiency. 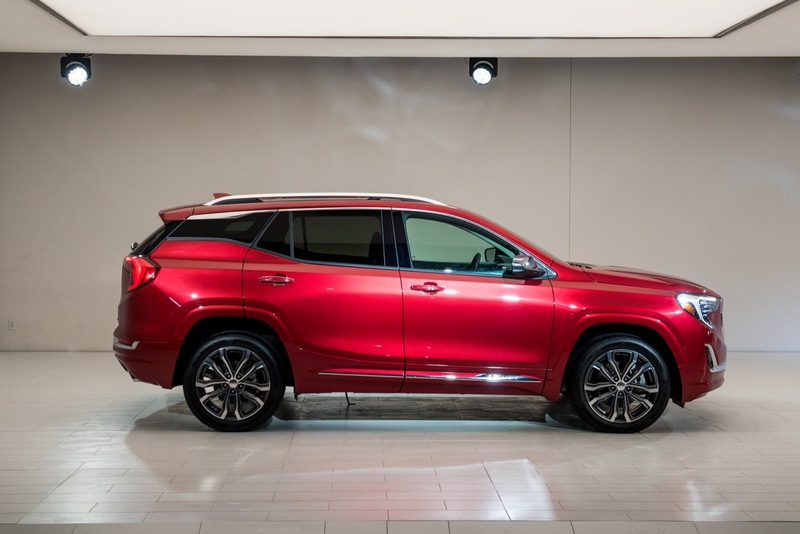 The new architecture is constructed of about 10 percent hot-stamped/high-strength steels, which contributes to an approximately 27-percent stiffer body structure, while also decreasing weight. 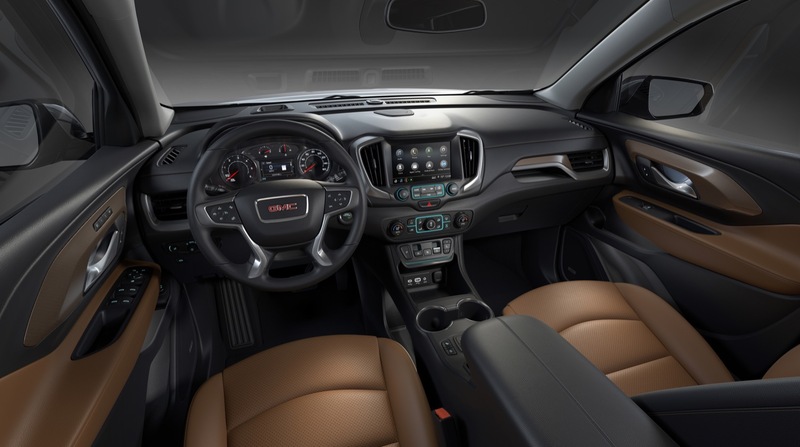 GMC’s Rear Seat Reminder system is also present as is the Teen Driver System to keep the youngsters in check behind the wheel. 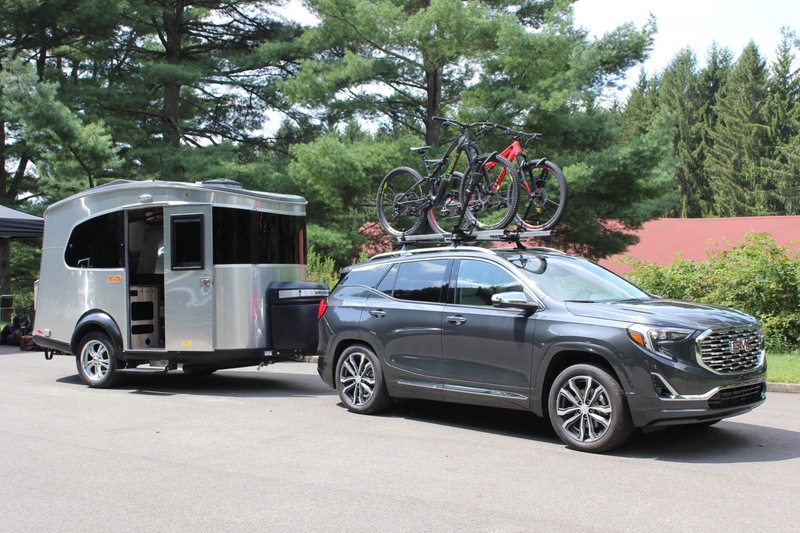 We expect the second-generation, 2018 GMC Terrain to be as much as 200 pounds lighter than the first-generation Terrain it replaces. 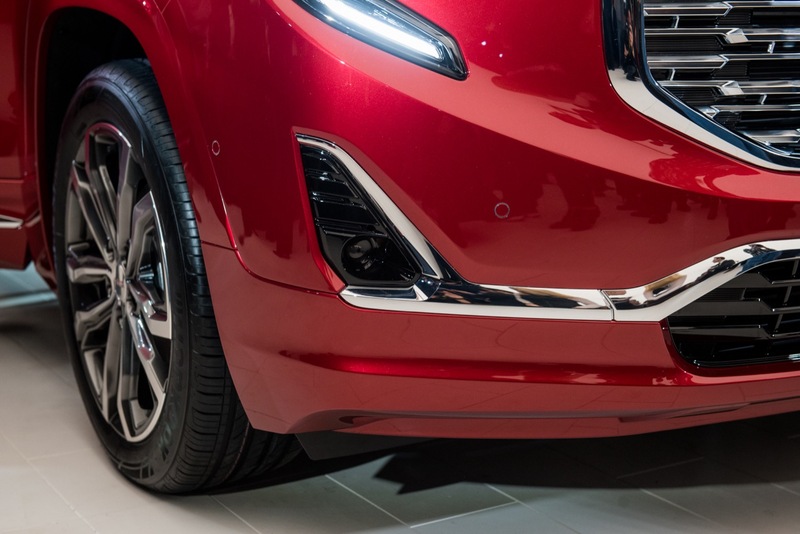 The weight savings are made possible by GM’s new, highly-modular D2XX platform. 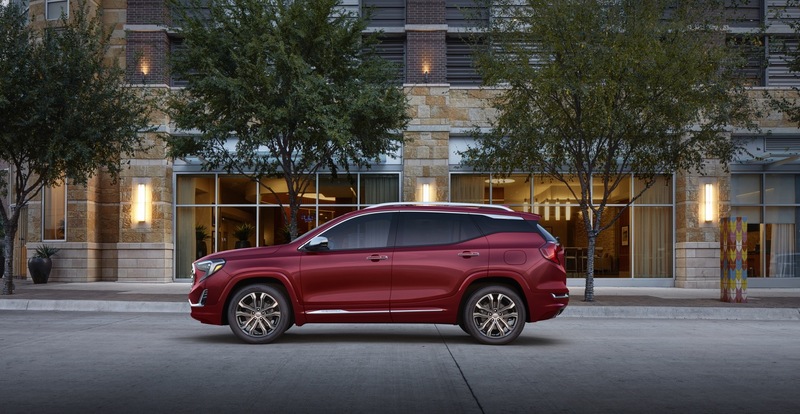 While the first-generation Terrain is a “tweener” vehicle straddling the compact and midsize crossover segments in exterior dimensions, the 2017 Terrain is repositioned directly into the compact crossover segment. 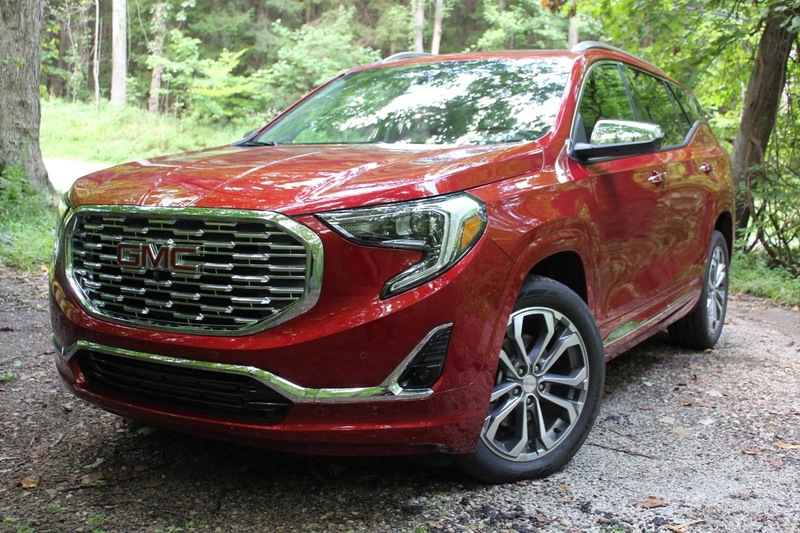 In the United States, we expect the 2018 GMC Terrain to carry a starting price in the $25,000 range and be configurable into the low-$40,000 range for the range-topping Terrain Denali trim level. 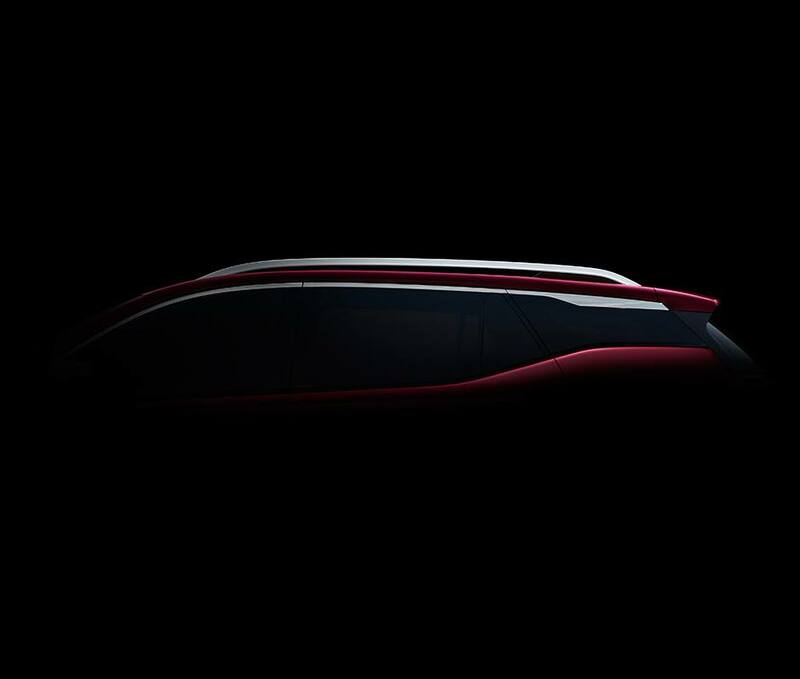 Pricing information will be announced in the weeks prior to the new Terrain’s market launch in the summer of 2017. 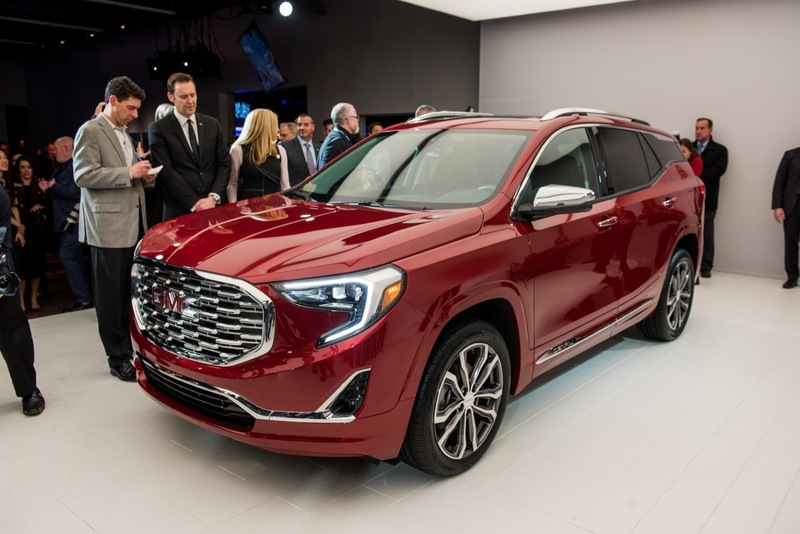 The 2018 GMC Terrain had its public reveal at the 2017 North American International Auto Show in Detroit. 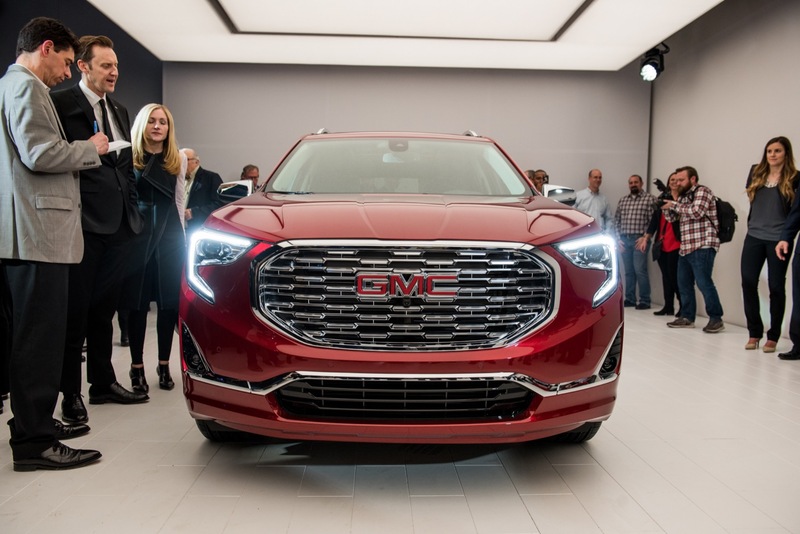 The vehicle was shown to members of the press at a private event and live-streamed online on the evening of January 8, 2016. 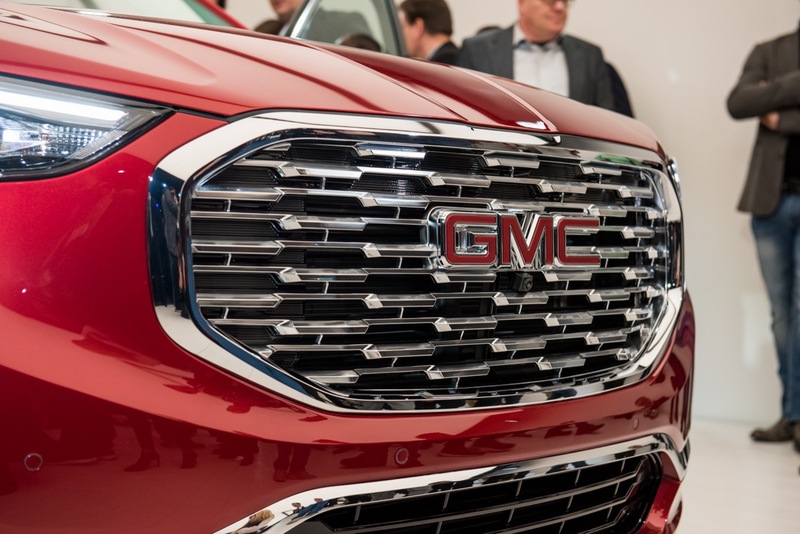 Though we initially expected the 2018 GMC Terrain to be built by GM Canada at the GM CAMI plant in Canada, the crossover will instead be produced by GM Mexico at the GM San Luis Potosi plant. 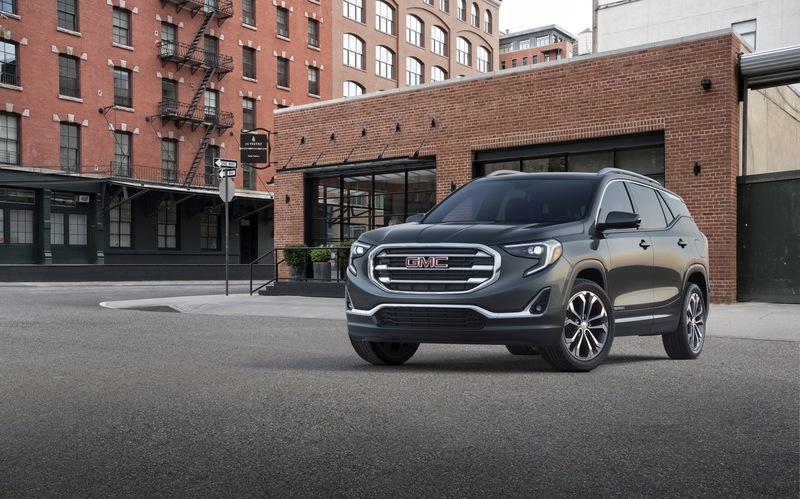 The 2018 GMC Terrain goes on sale in the summer of the 2017 calendar year in the United States and Canada. 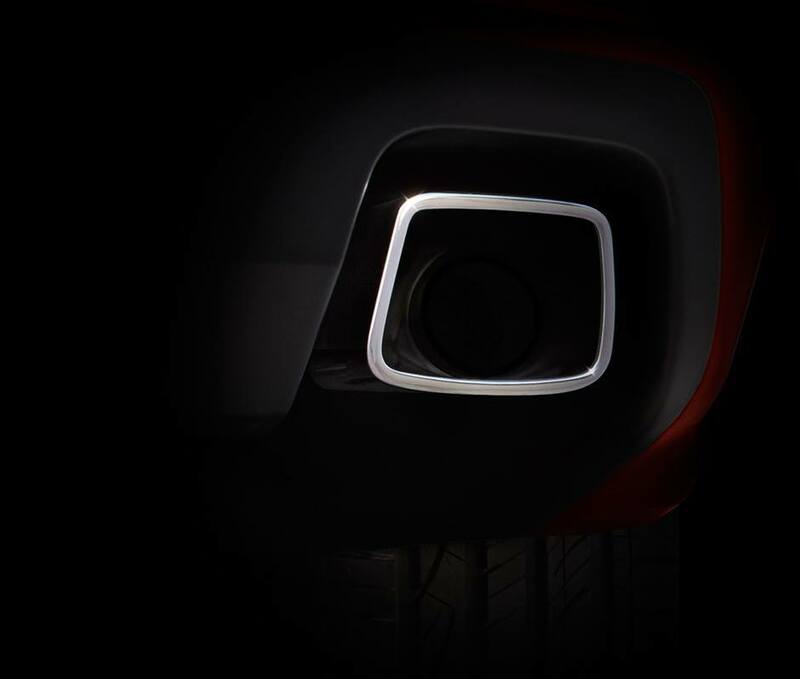 Availability in Mexico and the Middle East will follow. 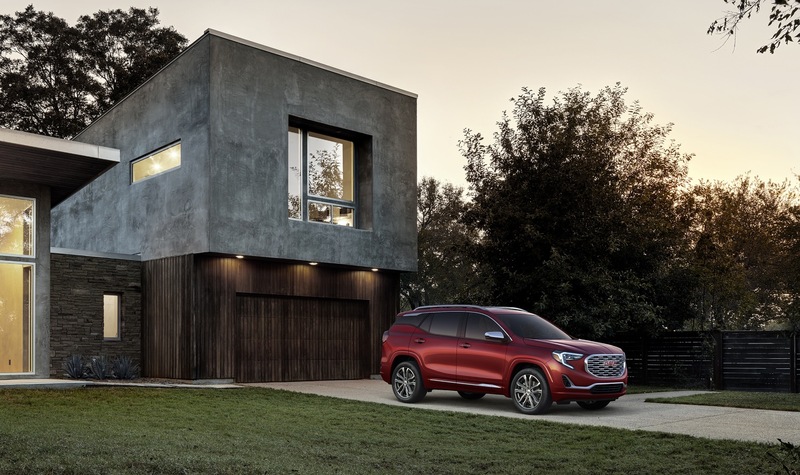 The 2018 Terrain will ride on GM’s new D2XX vehicle architecture, which succeeds the Delta 2 platform and the Theta platform. 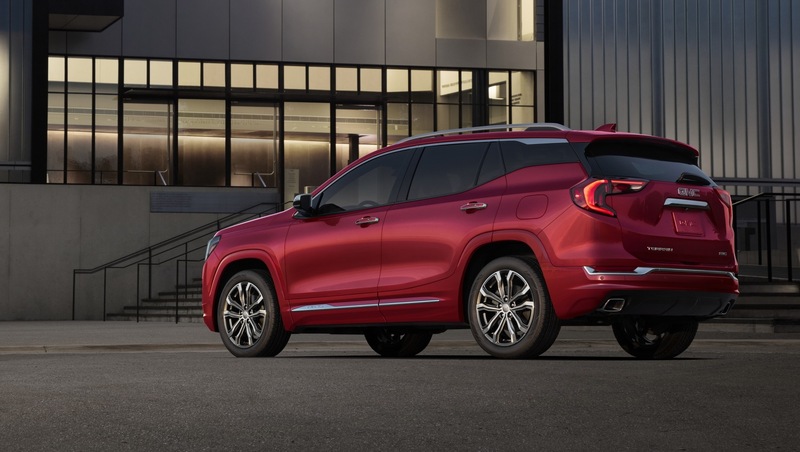 The 2018 GMC Terrain is available as a compact four-door crossover.